High performance and strong durability through steel wire construction for maximum protection with easy adjustment system for individual fit. 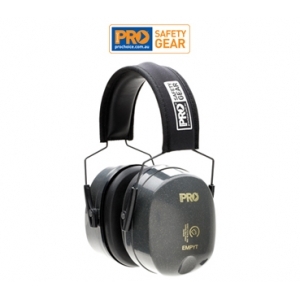 Hearing protection for noise levels to 116dB(A). Contemporary design withstands abuse without compromising comfort. Solid, lightweight ear cup construction. High quality ear cushions. Padded foam headband minimises pressure on the head. Steel wire provides a robust construction to withstand demanding use. Increased wearer comfort due to low clamping force.